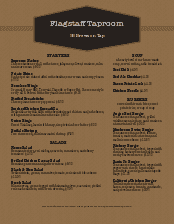 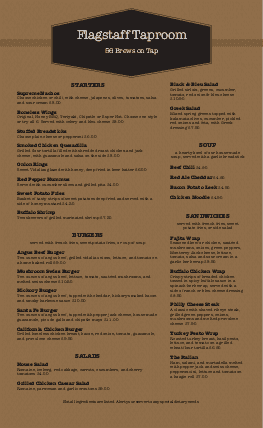 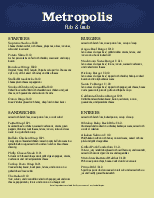 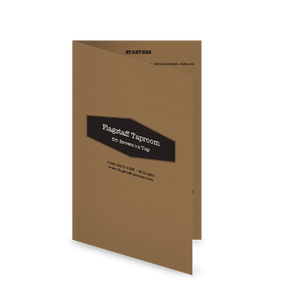 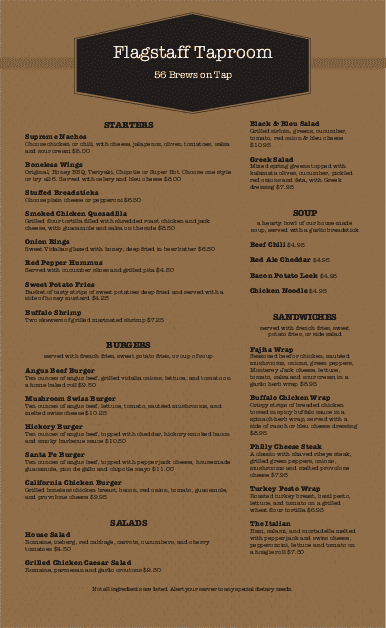 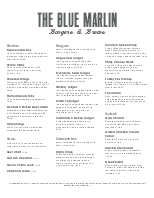 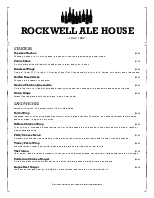 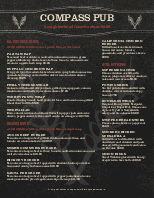 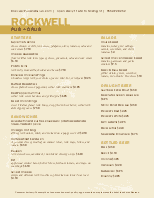 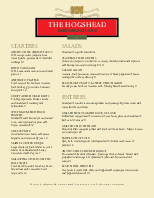 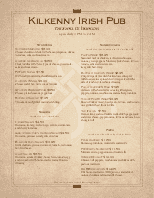 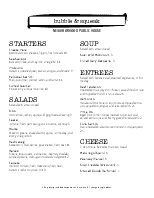 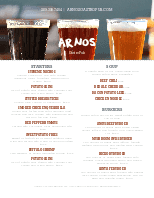 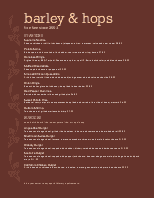 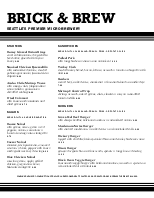 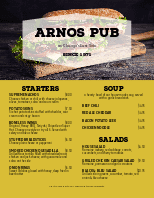 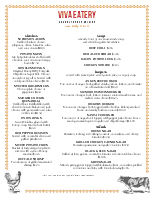 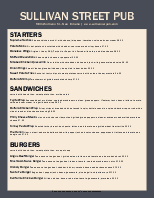 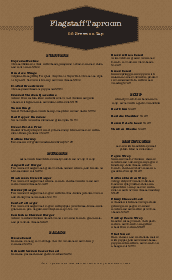 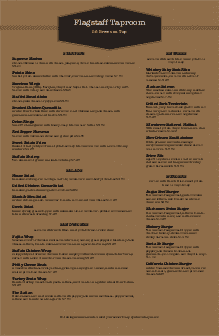 A modern pub menu with a casual brown textured background. 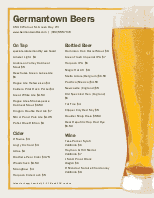 Your restaurant name displays in a large geometric banner, with space for pub fare and beer listed below. 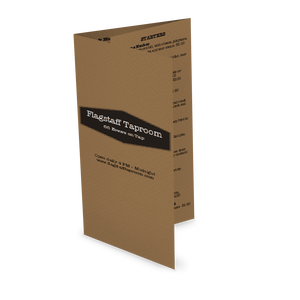 Customize with bar graphics or your own photos. 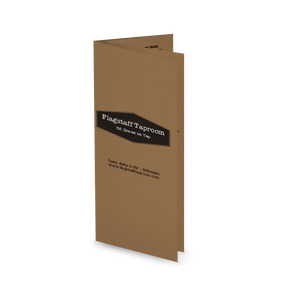 This design is offered in several sizes, including takeout.